dance.net - Meet my new car! (9992980) - Read article: Ballet, Jazz, Modern, Hip Hop, Tap, Irish, Disco, Twirling, Cheer: Photos, Chat, Games, Jobs, Events! 5 Replies to Meet my new car! re: Meet my new car! 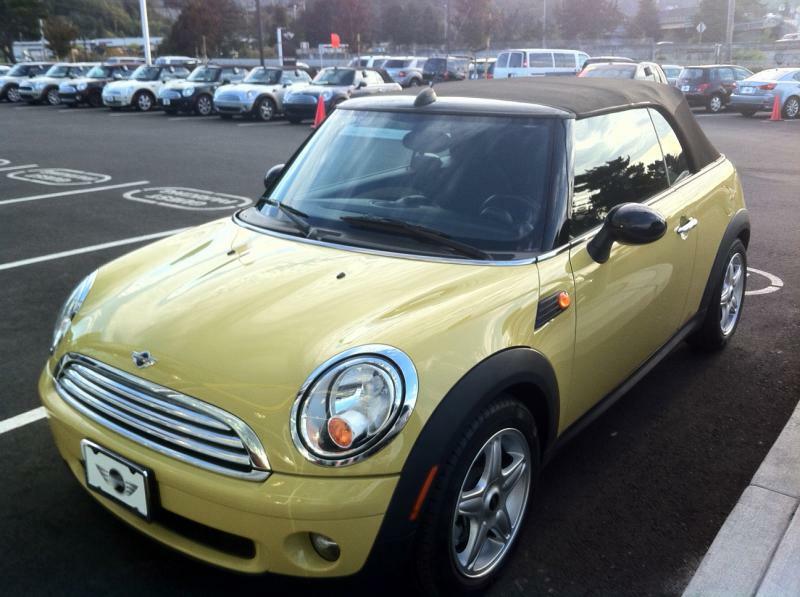 Aww, a Mini! It's adorable. Is she showroom new or just "new to you" new? When I was a little kid, my mum had a white 1970's era Mini that was so old, it didn't even have seatbelts in the back seat. It was the BEST car but she had to sell it in the end because she obviously couldn't use it to drive my sister and I around in. I hope you have many happy years of driving in your Mini. They are excellent cars. She's beautiful! I love minis! Did you take another language in high school/college? Maybe whatever "sun" is in that language?